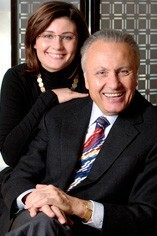 Angelo Gaja is Italy`s most renowned and dynamic wine personality and his impact on wine production in the last 30 years cannot be overestimated. Angelo Gaja took over the family business in 1970 and, as he says: "The challenge was to maintain the basic power and depth of Nebbiolo while polishing the wines to give them richer colour, fuller fruit, better balance and a more refined style." 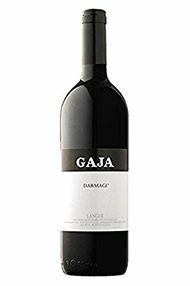 In pursuit of this aim Gaja replanted many of the vineyards, installed temperature-controlled, stainless steel tanks, introduced the concept of ageing wines in small oak barrels and began releasing single vineyard Barbarescos. Most controversial of all, Gaja planted some Cabernet Sauvignon and Chardonnay on prime Barbaresco land. 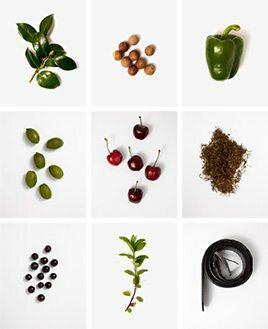 Today Gaja has 101 hectares of vineyards divided into 32 separate plots and produces around 30,000 cases of wine a year. Gaja produces world-class wines that sell for world-class prices; his latest venture is in Tuscany where he has acquired an estate in Montalcino. Piedmont has been the pre-eminent fine wine province of Italy since Roman times, a reputation reinforced under the House of Savoy – which lorded it over Europe during the Middle Ages from its base in Turin. Piedmont's own fame increased too as this noble House secured its place in history as the driver for Italian Reunification in 1861. Located in the north-west of the country, with a continental climate, Piedmont is influenced culturally and climatically by the surrounding Alps and Ligurian Apennines. Piedmont's most important fine wine regions are: the Langhe, south of Alba, incorporating Barolo and Barbaresco; Monferrato, comprising the wines of Asti and Gavi; and Novara with its Colline Novaresi and Boca. Nebbiolo is the grape of Piedmont, and arguably the country as a whole. It is planted in only the most favourable sites, and is the power behind Barolo and Barbaresco. It is followed by Barbera d'Alba or Barbera d'Asti and Dolcetto, an early-ripening antipasti wine produced more seriously around Dogliani. For whites, Moscato is queen, responsible for copious amounts of frizzante, more commonly known as Asti. A far more rewarding, gently-sparkling wine, made in an off-dry style, is labelled as Moscato d'Asti. A notable red version is also made: Brachetto d'Acqui. Cortese is the white grape behind the region's most popular dry white wine, Gavi, from vines south of Alessandria. Perhaps unsurprisingly, Piedmont has the highest proportion of Denominazione di Origine Controllata (DOC) and Denominazione di Origine Controllata e Garantita (DOCG) wines, even if it is responsible for only seven percent of Italy's total production (2006).